In order to encourage private spaceflight activities, Florida has its own Informed Consent for Spaceflight Act found at Florida Statute 331.501. Let’s discuss how this statute works and assess, if tested, whether it might actually serve its intended purpose. It is not unusual for emerging technology companies to either request end-users to waive liability or for the government to provide a method to insulate an entity from liability; this encourages aggressive, bold development of technologies balanced against the risk of lawsuits which might cripple innovation. This encourages scientific development and has the end-user, who likely already knows the risk, shoulder the liability as a trade-off for being one of the first to benefit from a new technological development. However, this liability waiver does NOT apply if the spaceflight entity (a) is grossly negligent or acts willfully/wantonly; (b) has actual knowledge or reasonably should have know of a dangerous condition on the land, facilities, or equipment; or (c) intentionally harms the participant. The problem, however, is that the exception (b), found in F.S. 331.501(2)(b)(2), may swallow the liability waiver rule. A would-be plaintiff (also known as an injured spaceflight participant or his/her estate) could circumvent the waiver by claiming that the defendant (the spaceflight entity) knew or should have known of a dangerous condition on the land, facility, or equipment. Indeed, that “exception” is really the essence of a typical negligence claim — and it could render the intended liability immunity under the Act worthless. In ten years, the 2008 Act has never been the subject of an interpreting court opinion. As a side note, for an interesting discussion of the concept of negligence and ultra-hazardous activities, the Florida Supreme Court issued an opinion, also in 2008, regarding possible liability surrounding the 2001 anthrax attack in Boca Raton, Florida. That case, United States et al. v. Maureen Stevens, is here. 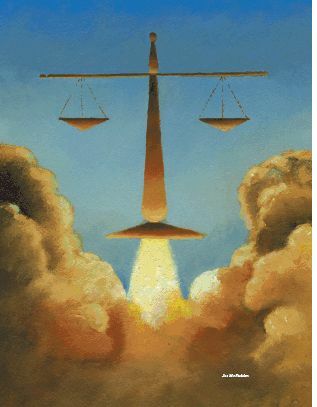 For a longer discussion of Florida space law, see “2010: Space Law in the Sunshine State” by Timothy Ravich from the Florida Bar Journal.